On any asset’s chart there are periods of consolidation, when the price moves horizontally with small waves in a narrow price channel (i.e. almost does not change). 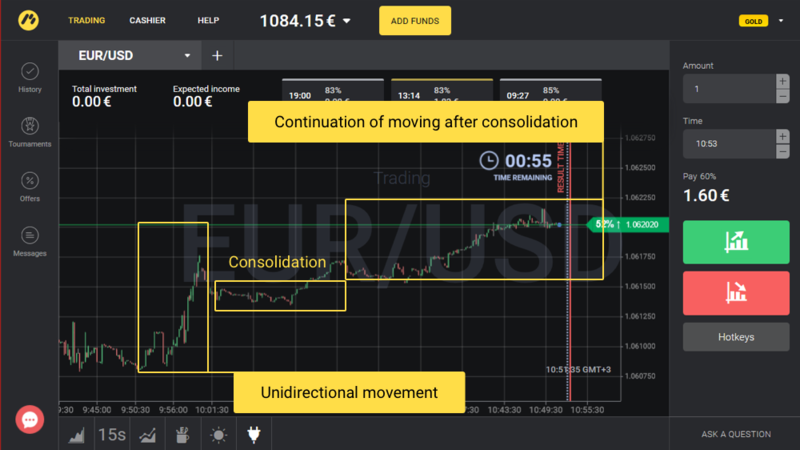 After such moments, quotes will necessarily continue active movement upwards or downwards, and this is an excellent chance to earn.The “Bollinger Bands” indicator will help to determine whether the price will go up or down after consolidation. 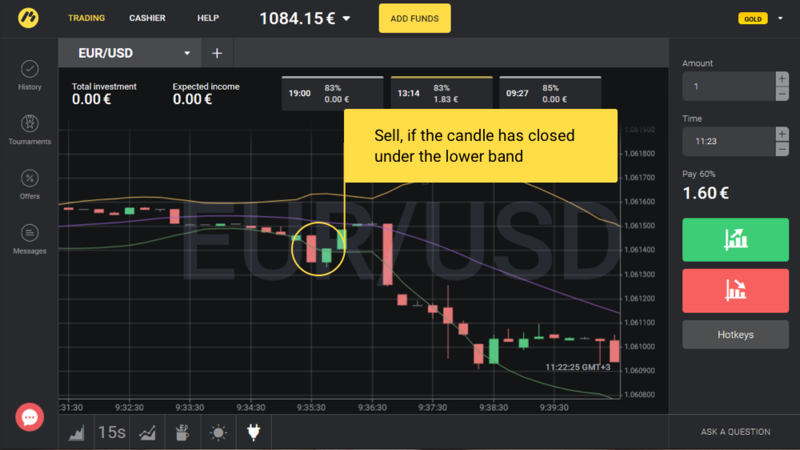 After reading this article, even a beginner can set up and apply the indicator! For example, it is night and activity at the exchange has decreased. Or because very soon important news should come out, and traders do not sell or buy assets which this news can affect. How to determine the consolidation channel? On the chart, consolidation looks like “horizontal” quotes. But after a respite, a turning point is inevitable when the price of an asset begins to grow or fall rapidly. Your task is to find the consolidation channel and determine the moment of its breakdown. The best thing is using the “Bollinger Bands” indicator for this purpose. Now look at the chart. 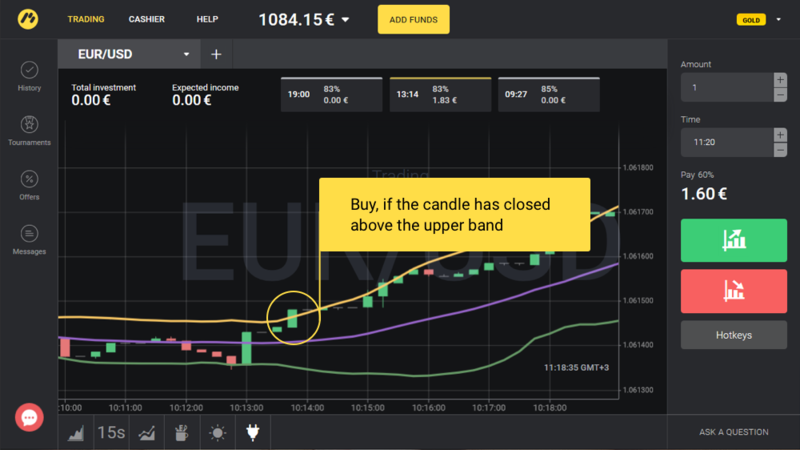 You will see that in some places the Bollinger Bands narrow and continue to move very close to each other for some time, and in others, on the contrary, they go far apart. 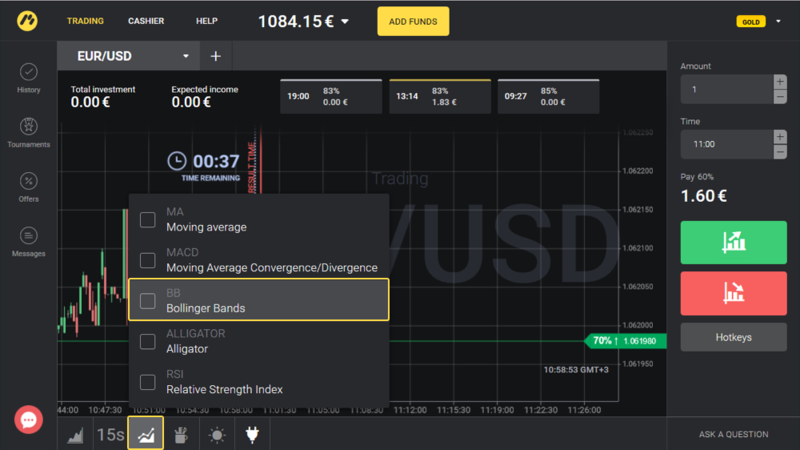 When the bands are far apart, it means that the price is actively increasing or decreasing. 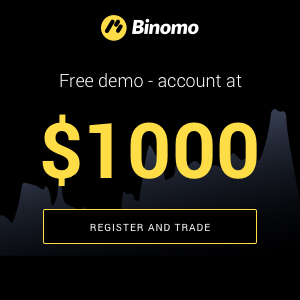 How to use it to make a profit? 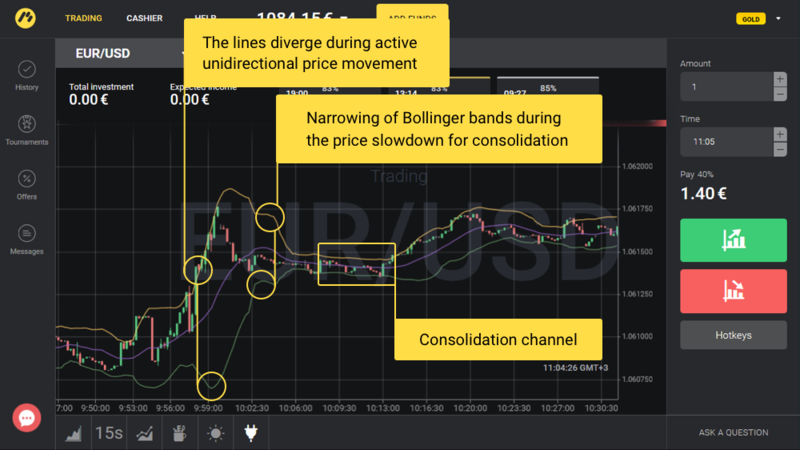 After the Bollinger bands have narrowed and consolidation has come, you must wait for the breakdown of the horizontal price channel and make a transaction in the direction of a new price movement, since it will most often go there soon. Look at the examples below, and everything will immediately become clear! The expiration period (the time until the close of the transaction) depends on which time frame you are trading. 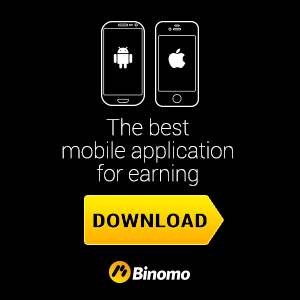 If you chose the 5S–15S time frame, the expiration period is 3–5 minutes. If you prefer the longer time frames, then increase the expiration period. 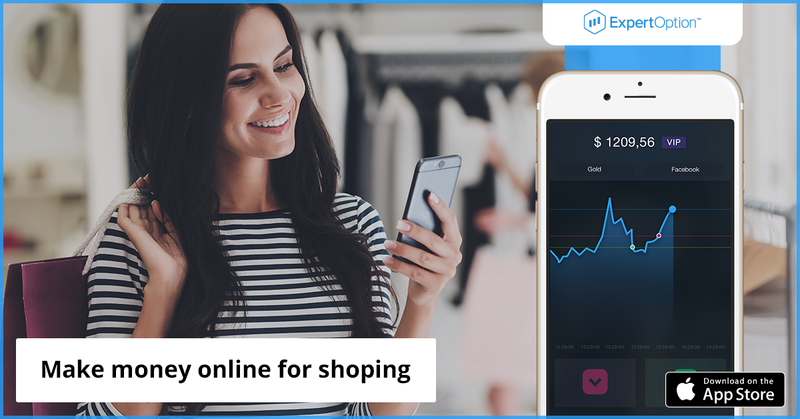 Remember that it is highly discouraged to use more than 3% of the capital for one transaction, and if you are a beginner – no more than 1–2%.